Watauga High School’s “Just in Case” grant provided three medical bags to be used by the school’s trained and certified individuals on the Quick Response Team. 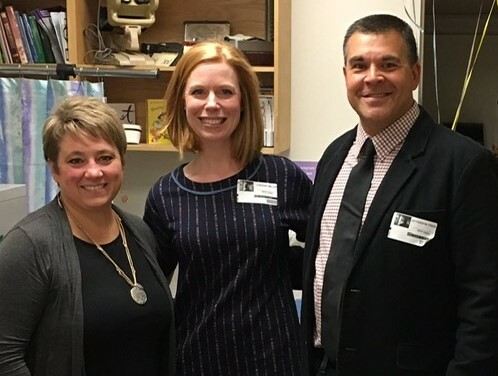 Watauga County Schools’ “Defibrillator Feedback Training Devices” grant provides WCS adult and infant CPR Manikins for Adult CPR training courses. 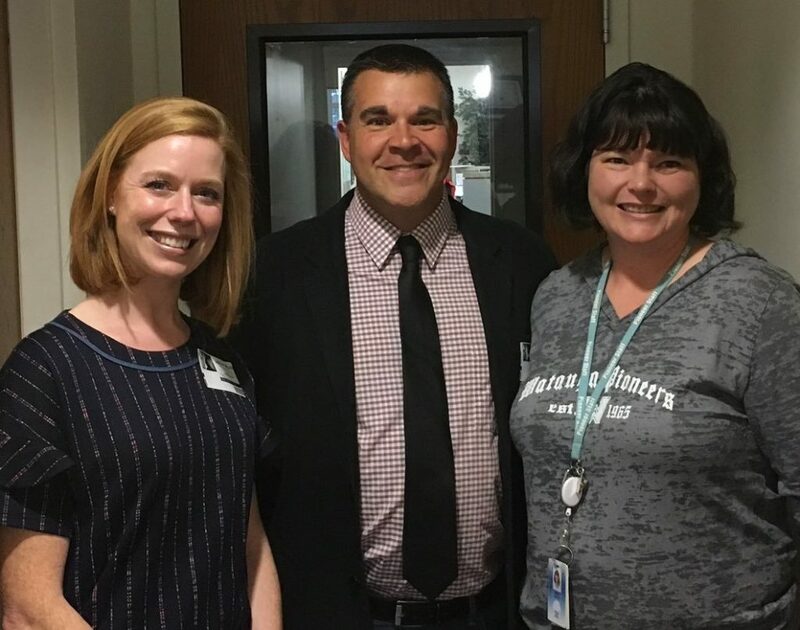 Shelly Klutz of Watauga County Schools receives grant award from Watauga Education Foundation board members Lindsay Miller and Jeff Trexler. Watauga High School’s “Cosmetology Updos and Outdos” grant provides Cosmetology students with mannequins that have human hair, facilitating more realistic practice in the skill of styling for students’ future career and recreational goals. 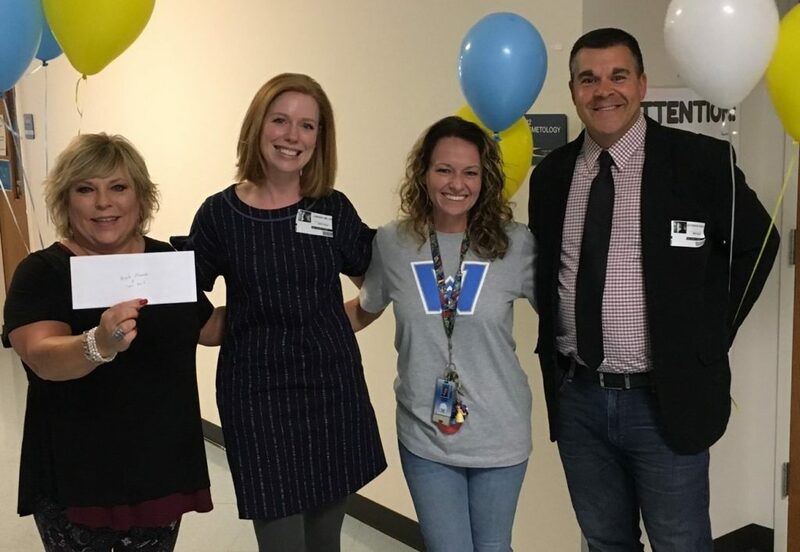 Angela Alexander and Torry Ward of Watauga High School are all smiles when Watauga Education Foundation board members Lindsay Miller and Jeff Trexler presented grant award.